I was working all day today, so this entry in Bob Haney Rules Week will be random...and awesome! "Am I right, boys? Ha ha!" And here we have a triple whammy of greatness. 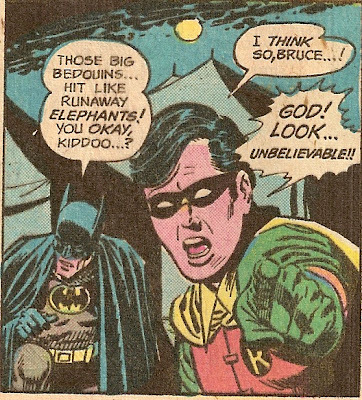 Batman makes a crazy comparison, calls Robin "kiddoo" (rhymes with Ski-doo) and Robin yells "God!" (Even funnier if read with a Napoleon Dynamite voice). 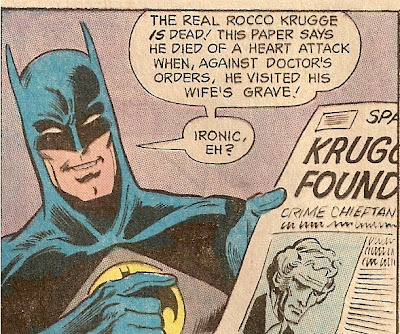 Look out, Bruce! There is a large and obvious bunch of men in your room! Just turn your head slightly! Use your peripheral vision! Stop reading that man's diary! Aw, what am I worried about? 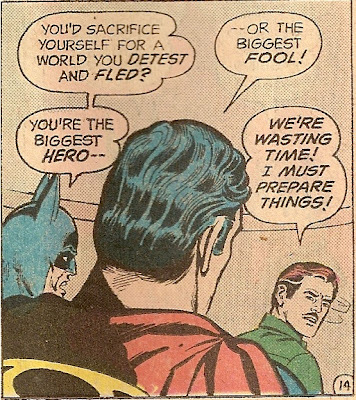 It's not like they could really trap Batman with a stupid net! Oh. Well...at least they took his shirt off and tied him up. Diabolical! 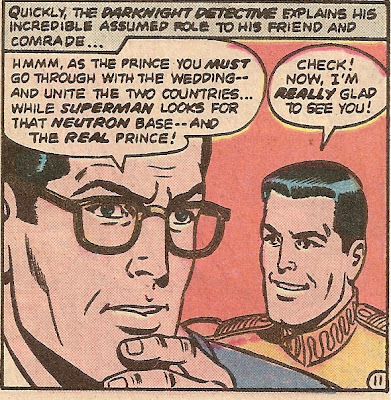 "However did you see through my cunning disguise, Clark? Was it the fact that I haven't altered my appearance in any way?" 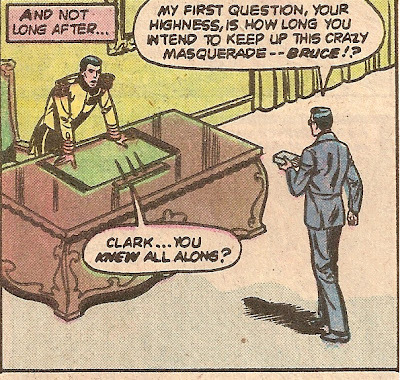 "No, Bruce, old friend. 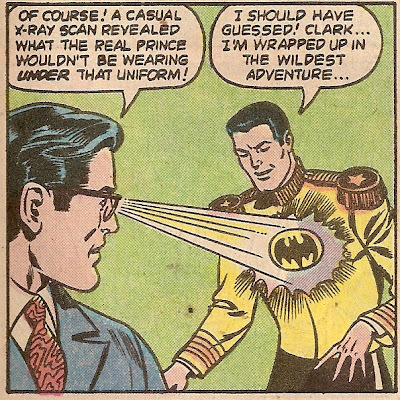 I was just doing my usual rounds of x-raying the shirt of every man I see when I noticed the Bat symbol on your rugged chest."